You can sign up for this arc here. All three factions seek Summoners to fight for their cause. Lines in the Sand was the seventh Factions storyline. It began on 16 May, 25 CLE, and was preceded by Part VI: Nyroth. This arc centered on a resurgent Shuriman Empire, and its fight to reclaim its land from the great powers of modern Valoran. It concluded on 26 September, 25 CLE. Shurima won independence and admission to the League, but Noxus won the final victory. It began on 16 May, 25 CLE, when Azir raised the Sun Disc above Shurima for the first time in more than two thousand years. After repelling a ferocious Noxian assault on his restored capital, and seizing the mansion of the Piltovian governor tasked with transforming a swath of Shurima into a suitably “civilized” corridor for its transcontinental velocitronic railway, Azir demanded Shurima’s admission into the League of Legends, declaring that his Empire would live again, more glorious than ever. 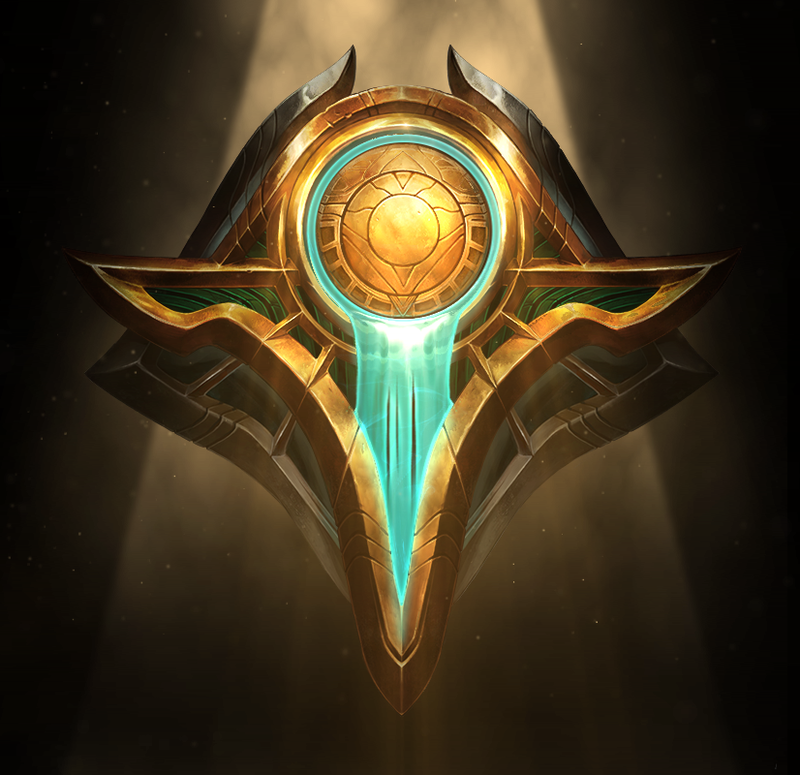 Azir’s Champions and Summoners proved their mettle on the Fields of Justice, and on 6 July, 25 CLE, the Council decreed that Shurima would be admitted as a member-state of the League, with Azir as its Emperor. The Shuriman Empire was granted dominion over its historic capital and the southern city of Dar’Khos, both of which are now protected by League decree, as would be the homeland of any member-state. With the membership petition resolved, the hard-won truce that extended over that process broke apart. War returned to Shurima, as these three factions fought both on and off the Fields of Justice to stake their claims to the remainder of the Shurima desert. The League dispute itself centered, at first, on two main issues: whether Shurima would be recognized as a sovereign and independent state, and who owned what parts of Shurima. The sovereignty issue was conclusively resolved early in the dispute, after Shurima’s remarkable victories on the Fields. The League has recognized the Shuriman Empire as a member-state, with sovereign dominion over the Shuriman capital and the southern city of Dar’khos. Though the capital and Dar’khos are now off limits, fighting continues over the remaining parts of the Shurima Desert, and some believe that a Shuriman victory could allow Shurima to reclaim some of its historical territory beyond the desert as well. The use of pyrikhosian hextech within Shurima. Previously, there probably hasn’t been much use of pyrikhos by Shurimans, because Shurimans didn’t have the kind of money it takes to buy a meaningful amount of the stuff, or the tech base to use it. That’s starting to change. The use of pyrikhos within Shuriman territory raises special considerations, given that it resonates with native Shuriman magic (which is now getting stronger and stronger). On the one hand, it creates the potential for pyrikhos to be stronger and more flexible, by harnessing that native energy. On the other hand, some traditionalists believe it would debase or sully the splendor of “pure” Shuriman magic. Elemental balance. The Rune Wars distorted the balance of elemental magic within Shurima, scorching it with solar energy and destroying the lush paradise that it had once been. Shurima adapted, focusing almost exclusively on solar magic. But the restoration of Shuriman magic has opened the door to shifting the elemental balance back toward how it used to be. Rune magic. Shurima stayed out of the Rune Wars, until it fell. But it did exist in a world ravaged by Rune Wars, and it was eventually invaded by the Magelords/Protectorate. There may well be some lost old rune magic lying around. If so, any faction that discovered such magic would have a difficult moral and political decision to make: destroy it forever, entrust it to the League, or secretly take possession of it as a last resort should all other strategies fail. Icathia and the Void. 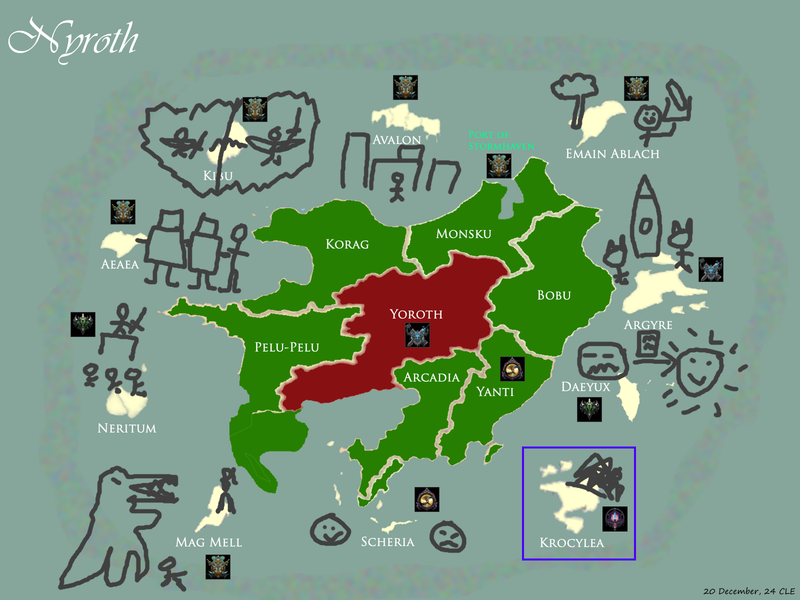 Icathia was once a principality of Shurima, before the Void corrupted it and triggered a civil war. Much of this dispute is premised on the idea that Shuriman magic has been lost, with only a few still possessing any significant knowledge of it—and those few being disinclined to share. But this ignores the wealth of arcane knowledge still possessed by Icathia, which was never conquered—could never truly have been conquered—by the armies of the Rune Wars. Agents of Icathia may well come to each faction and offer to share their wisdom, for a price. The Void rift. The Battle of Shurima began when Demacia attacked Zaun’s pyrikhos mines, claiming that a Void rift within would soon expand with apocalyptic consequences. Such a Void rift did open, but debate rages on as to whether Demacia arrived just in time, or if the magic released by the battle itself caused the catastrophe. In the end, Demacia was harshly sanctioned for its unlawful attack, with the matter of who was to blame for the Void rift effectively unresolved. 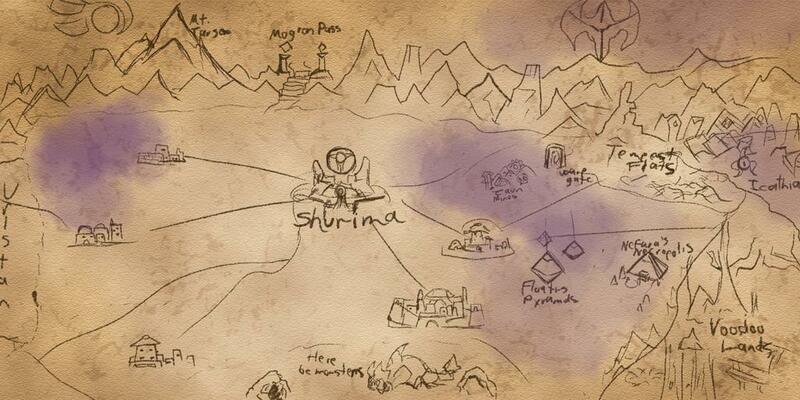 If there are clues to be found as to what really happened, they are likely to be found in Shurima. I’ve set up a discussion thread regarding these stakes. This graph shows the current balance of power between Shurima, Noxus, and Piltover. The outcomes of matches fought upon the Fields of Justice will determine how this story unfolds. This dispute is between Noxus, Piltover, and Shurima. Following Shuriman independence, Noxus allied with the Shadow Isles, and Piltover allied with Demacia. You can declare for a faction here. Some lore from the Intermission that preceded this arc. Astonishing though it was, Azir’s return could never have sufficed in itself to bring the Shuriman Empire back from oblivion. Runeterra is highly charged with magic, much of it flowing through subterranean leylines which form nexuses where they meet. Celestial beings brought the secrets of magic to mortals, whereby mortal mages learned to direct the energy that radiated out from Runeterra’s leylines and nexuses to extend their perception and impose their will upon the world, albeit with only a fraction of the power that elemental spirits and other innately magical creatures could wield. But jealous mortals soon devised runes that could tear leylines open, and rune spells resilient enough to channel such immense power directly. These spells could sunder armies, level mountains—reshape reality itself. The Rune Wars began when warring factions turned their rune magic against one another. Never before had Runeterra seen such devastation. The first casualties were the elementals and other magical beings who had taught mortals the ways of magic long ago. The Rune Wars disrupted the leylines that sustained these creatures, and turned the arcanosphere toxic. Some mortals spoke out against this madness, but the leaders of these factions saw no alternative—if they did not use rune magic, they would swiftly be destroyed by those who did. Shurima was one of the few civilizations to escape this dilemma. Its mastery of elemental magic allowed it to forge defensive enchantments, amplifying the natural flow of magic rather than distorting it, that would repel even rune spells. With these defenses in place, it managed to maintain neutrality at a time when all of Valoran was at war. 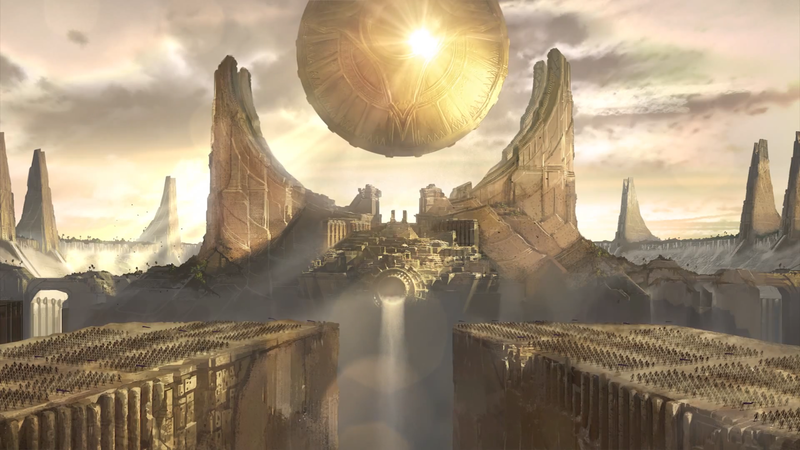 It survived even after the aftershocks of the Rune Wars distorted its internal arcanosphere and blasted it with solar energy, turning Shurima into a desert. The Shuriman Empire fell more than two thousand years ago, destroyed from within by hubris and treachery—or, less poetically, by a massive explosion that wiped out, in one blast, the Imperial court, the Emperor himself, the capital, and the central nexus of Shurima’s arcane defenses. The Emperor Azir, despairing of the pettiness and shortsightedness of mortal rulers, had resolved to undertake the first Imperial Ascension, combining the Imperial bloodline with the cosmic power of the Ascended. But he was betrayed by his Magus Xerath, who had devised the ritual, but who at a critical moment pushed Azir aside and attempted to take the Ascension for himself. In the aftermath, Shurima’s people were swiftly conquered by the Magelords and the Protectorate, who sought the secrets to the magic that had held fast against even their runemage armies. By the time of the League’s founding, Shurima was a patchwork of treaty zones and colonial holdings, the successors to the Magelords and Protectorate still prying apart the ruins piece by piece in search of lost scraps of Shuriman lore. In 24 CLE, explorers in Shurima discovered veins of dark purple sand. This dark sand (pyrikhos in Shuriman) radiated strange energy and burned when lit. 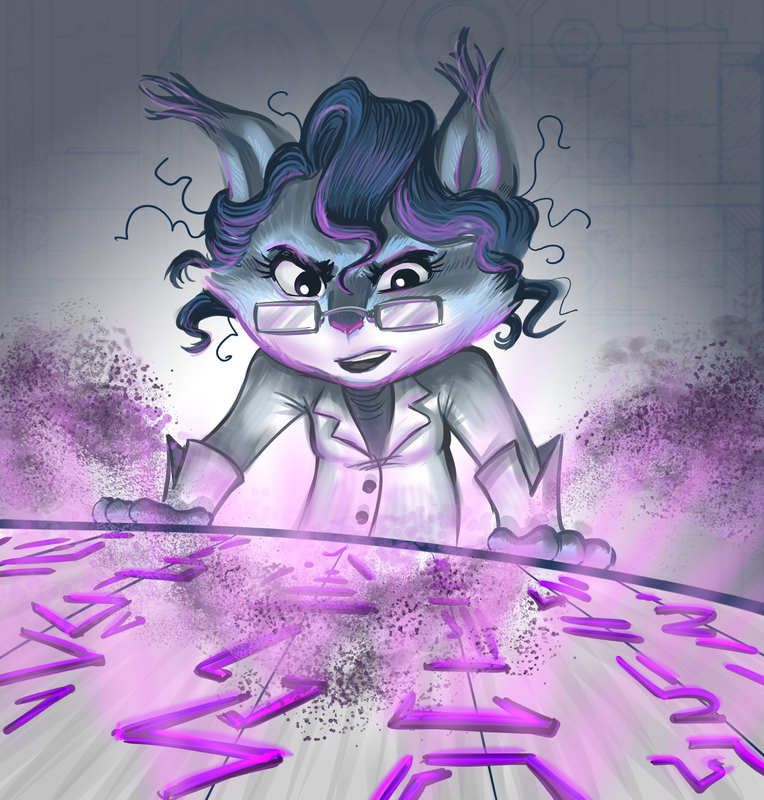 Dr. Merricurry, a yordle scientist from Piltover, realized that the pyrikhos had been created by a fusion of Void energy spreading from Icathia after the Void War and the lingering enchantments of the Shurman ruins. She further demonstrated that it could be used as a nearly universal hextech energy source, making the mass production of hextech devices possible. Her breakthrough catalyzed the so-called Hextech Revolution. The struggle for control over this potent but dangerous energy source erupted into the bloodiest and most destructive single battle since the Rune Wars—a battle that began as a clash between Demacia and Zaun but soon became a desperate fight against the Void, which nearly consumed all of Runeterra. The Ascended Champions of Shurima played a pivotal role on that dark day. Nasus and Renekton slew Cho’gath’s corporeal form, driving him back into the Void long enough for Valoran’s Champions to fight their way through the Zaunite pyrikhos mine that contained the opening Void rift. Yet it would have all been too late had Xerath not interceded at a crucial moment. Malzahar’s Void magic nullified the power of Valoran’s Champions and Summoners, even the Ascended, but also reduced Xerath’s arcane bonds to mere bits of metal, allowing him to briefly unleash his true power. Researchers had observed that pyrikhos deposits tended to develop around ancient Shuriman ruins; the mine that contained the Void Rift was excavated from sand lying atop a temple built after the fall of Shurima by cultists who worshipped Xerath and prayed for his return. Channeling this power alongside his own, Xerath performed a counterspell of incalculable magnitude, defeating Malzahar (who was swiftly captured by Kassadin) and raising the temple up from the sands. From this height, before the shackles began to bind him once more, Xerath achieved a feat considered an axiomatic impossibility by Valoran’s mages—he restored the spirits of his long-dead cultists to life, not as undead constructs, but as living beings of flesh and blood. When Azir came before the League, seeking admittance as a Champion, the Summoners asked him if he did so on behalf of any particular nation. His answer—that he was the Emperor of Shurima, come to stand among the rulers of Valoran as their peer—was met with stifled laughter. The scribe neatly recorded this response as Independent (“Shurima”). As he began to gather allies among the Champions and Summoners of the League, and its member-states, some speculated that he might attempt something so ambitious as seeking the governorship of some other faction’s Shuriman province. But such speculations faded away with the discovery of Nyroth. Among the many wonders of the Hextech Revolution was the voyage of the Yordle Mothership, refueled with pyrikhos, to the moon of Runeterra. From this lofty vantage point, the yordles discovered a peculiar distortion to the west of Valoran, amid a region of the Conqueror’s Sea wracked by thaumic storms. Further investigation revealed this distortion to be an ethereal veil surrounding a previously unknown continent, Nyroth, made up of a large mainland and ten islands arranged in a curiously regular pattern later discovered to be the result of a leyline convergence phenomenon. A thousand years ago, shockwaves from Valoran’s Rune Wars had propagated across the ocean and triggered a cataclysmic event that destroyed the Nyrothian civilization and flooded the mainland in thaumatoxic energy. Though lethal to the natives, who were now relegated to the islands surrounding the mainland, this energy seemed to have no harmful effect on Valoranians, perhaps due to their ancestral exposure to the Rune Wars themselves. In the end, the Freljord (joined by Ionia) succeeded in restoring the nexus at the center of Nyroth, purging the thaumatoxic field and allowing the Nyrothian islanders to begin rebuilding. This restoration triggered an energy surge that traveled back through Valoran’s own leyline network. This catalyzed the genesis of a new nexus in the Ironspike Mountains, which Zaun claimed in a tournament. The excess energy burst out from every existing nexus in Valoran, producing a wide range of alarming events, but fortunately causing relatively little damage.Shurima’s nexuses alone were unaffected by the energy surge. As the chaos subsided in other parts of Valoran, scholars and mages turned their attention to Shurima, seeking an explanation. The lead theory was that still-hidden Shuriman artifacts and ruins had absorbed the energy, possibly melting away arcane seals and illusion spells in the process. 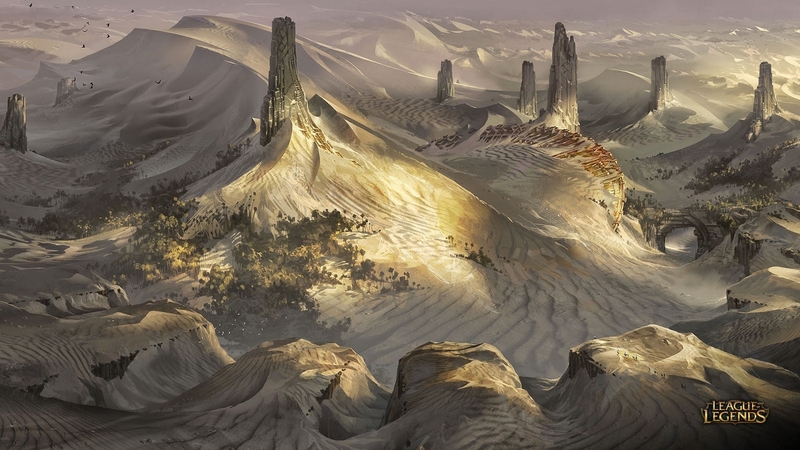 Piltovian research teams swept the desert in search of answers, using the swath of land Piltover had procured for the construction of a velocitronic railway line between Demacia and Bandle City as a base of operations. Meanwhile, the Noxian High Command appointed Cassiopeia as its legate to the Shuriman region, with three legions and orders to secure whatever assets she could. Hear ye and be warned! The Council of the League of Legends, final arbiter among nations, shall hear the petition of Azir, Champion of the League, that Shurima be recognized as a sovereign member-state, and that those territorial divisions recognized by the Shuriman Resolution of 1 CLE shall be subject to challenge upon the Fields of Justice. Let the word of the League be as law, lest all the nations of Runeterra arrange themselves against ye. There may be no appeal. After repelling a fierce Noxian assault on his risen capital, and seizing a swath of land that Piltover had been “civilizing” into a suitable corridor for its continent-spanning velocitronic railway, Azir demanded that the League and its member-states recognize Shurima as a peer nation. On 6 July, 25 CLE, the Council proclaimed the admission of the Shuriman Empire to the League of Legends, with Azir as its emperor. Azir’s petition had provoked members of the modern independence movement, centered in the ancient southern city of Dar’Khos, to object to Azir’s claim to represent modern Shurima; the tournament that accompanied the final resolution of the petition awarded control of this city to Azir as the Shuriman Empire’s initial holdings, together with the capital. Noxus and Piltover gave the declaration a rather icy reception. Within hours, their troops had resumed their attacks on Shurima, Piltover seeking to retake its colonial headquarters and the territory surrounding the velocitronic railway, and Noxus eager to to test Azir’s defenses with new counterspells and troops who had been given time to adjust from the task of escorting researchers and keeping an eye on Piltover to the rather different task of battling a resurrected God-Emperor. Although Shurima won its independence in an astonishing show of strength, the allegiance of Azir’s court began to fragment as the war dragged on. With the immediate objective of independence achieved, the various subfactions began pursuing their individual and at times mutually incompatible objectives. Piltover held the line against Shuriman and Noxian incursions, and completed the construction of the velocitronic railway segment linking Demacia to Bandle City, and drastically increasing international access to Shuriman markets. Meanwhile, Noxian mages adapted to ancient Shuriman magic, and its battle-hardened legions reclaimed territory from Azir’s increasingly disorganized bands of fanatics and mercenaries. Through a series of victories on the Fields of Justice and in the theater of war, Noxus claimed final victory as to the second phase of the dispute. A great deal of the Shurima Desert is now under Noxian rule, although Noxus can only exercise this power through a League-created protectorate regime. Hear now the judgment of the Council of the League of Legends, final arbiter among nations. THE EMPIRE OF SHURIMA is hereby recognized as a member-state of the League of Legends. The capital city of SHURIMA shall be its permanent domain, and it shall forevermore rule over THE CIVIC REPUBLIC OF DAR’KHOS and THE CITY OF BEL’ZHUN. THE SHURIMAN PROTECTORATE created at the founding of the League is hereby DISSOLVED, its function having been fulfilled. Those territories not held by Shurima shall be administered under separate protectorates overseen by THE GRAND MERITOCRACY OF NOXUS and THE MUNICIPAL REPUBLIC OF PILTOVER. Let the word of the League be as law, lest all the powers of Valoran array themselves against ye. There may be no appeal.